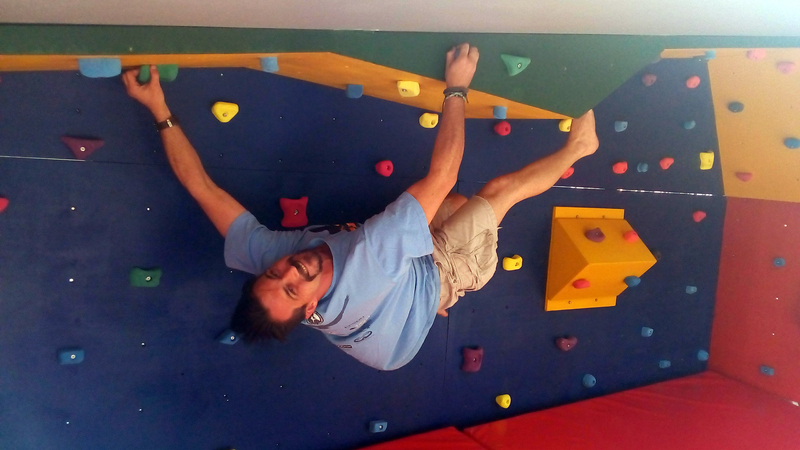 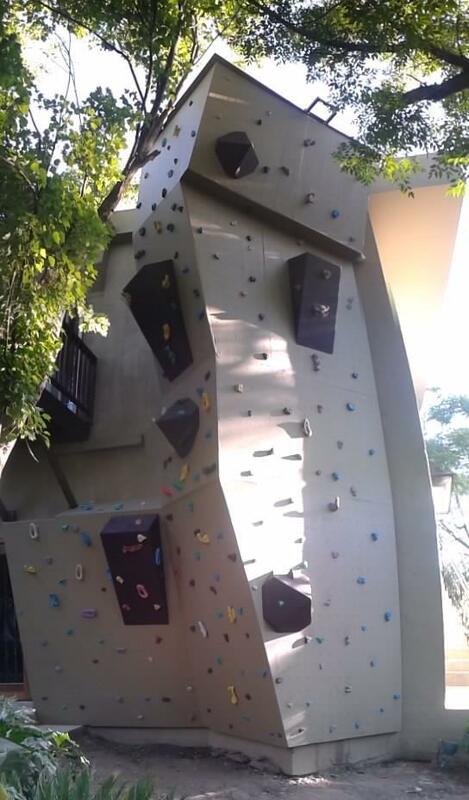 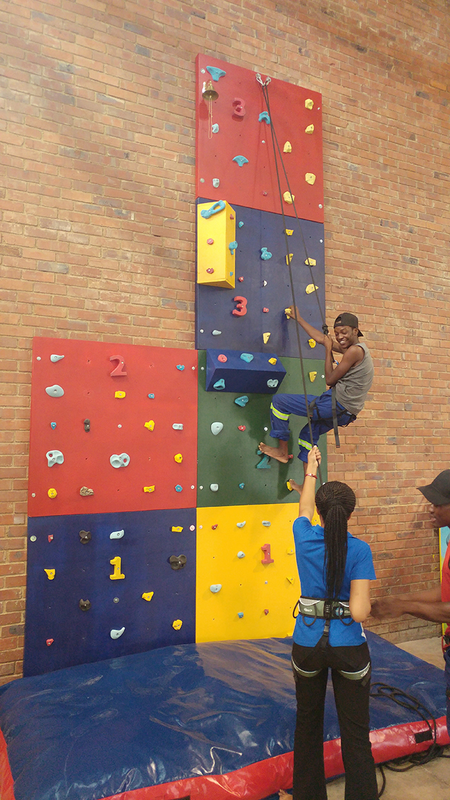 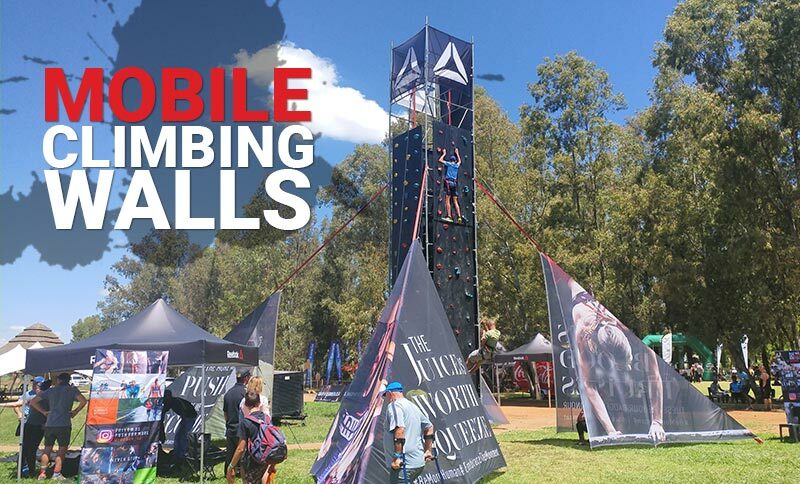 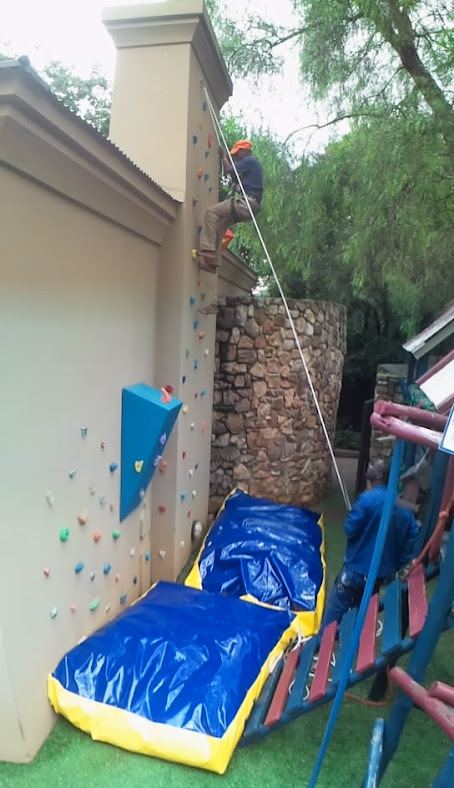 Extremely South African Mobile Rock Climbing Wall's for hire in Johannesburg, Pretoria and countrywide. 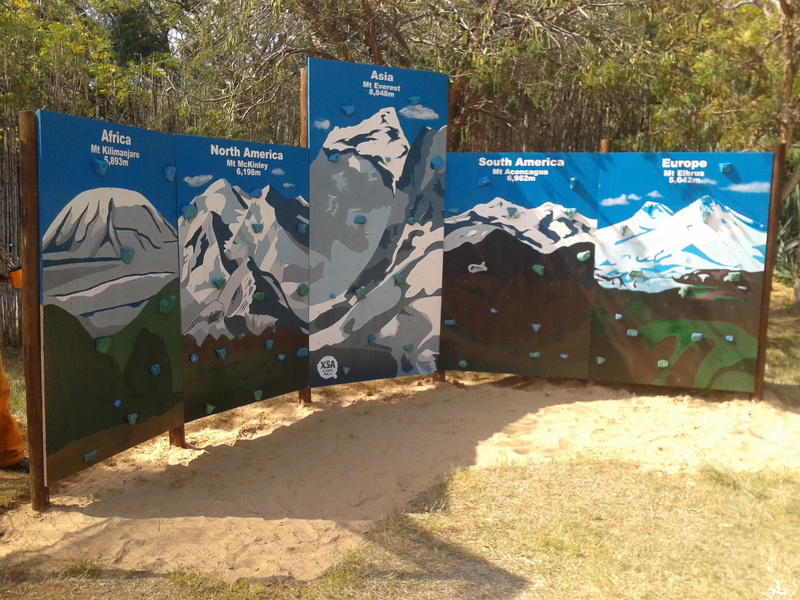 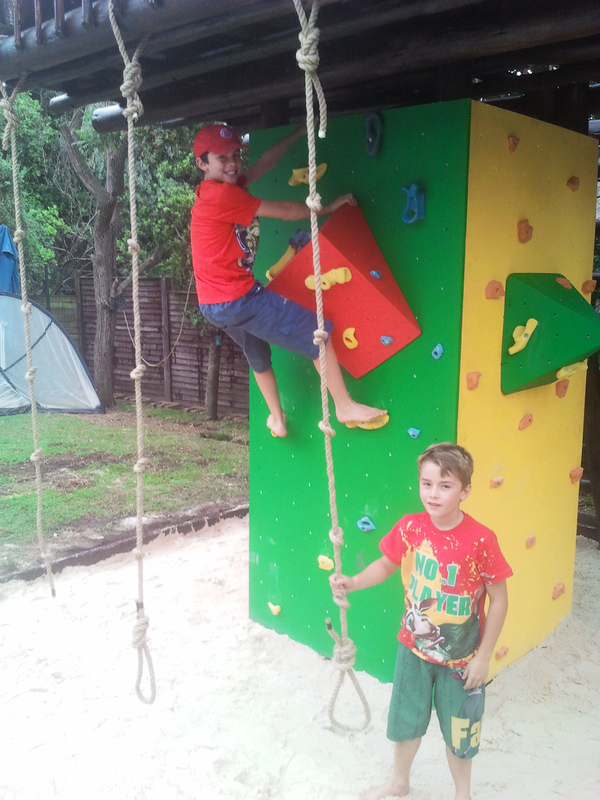 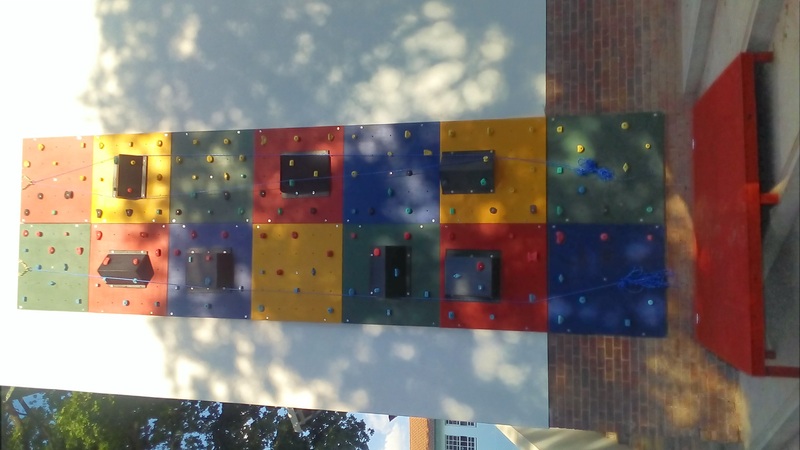 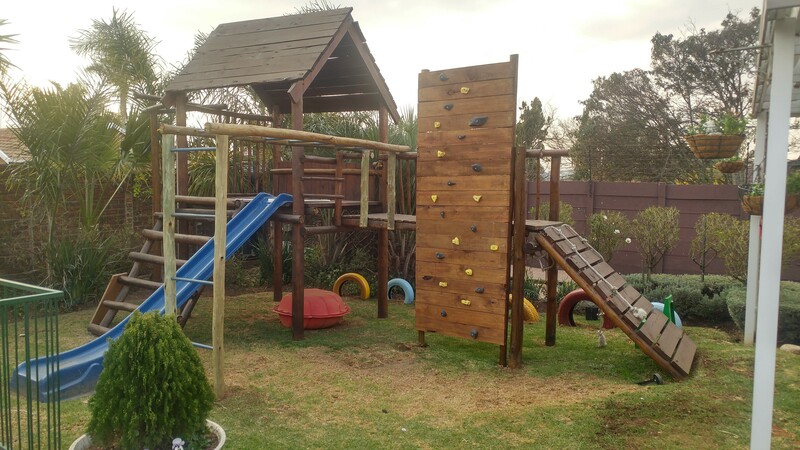 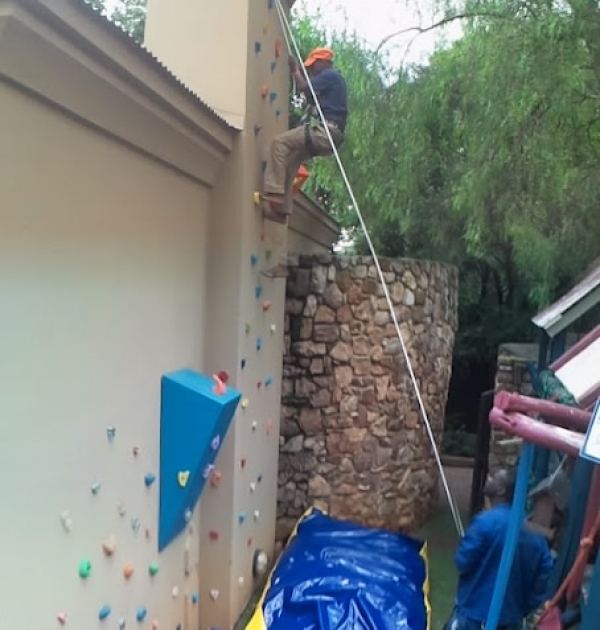 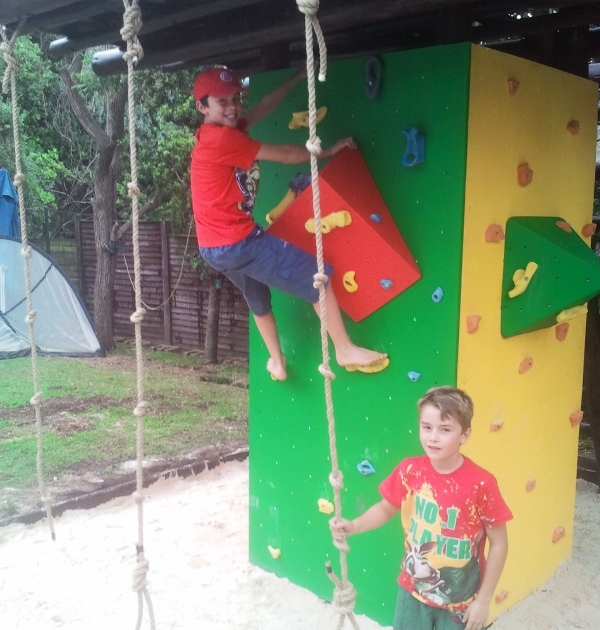 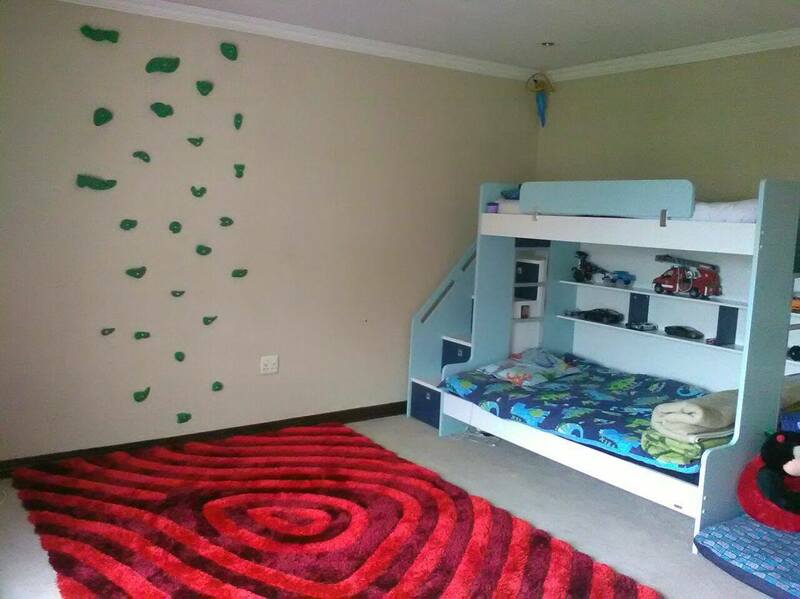 Extremely South African specializes in the design, manufacture and installation of climbing training and play facilities. 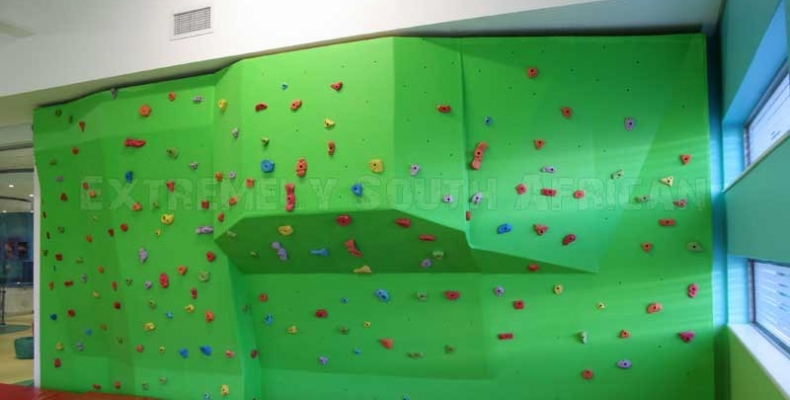 Since 2007 we have been creating high quality, durable rock climbing walls that are both technically challenging, visually stimulating and safe for the user. 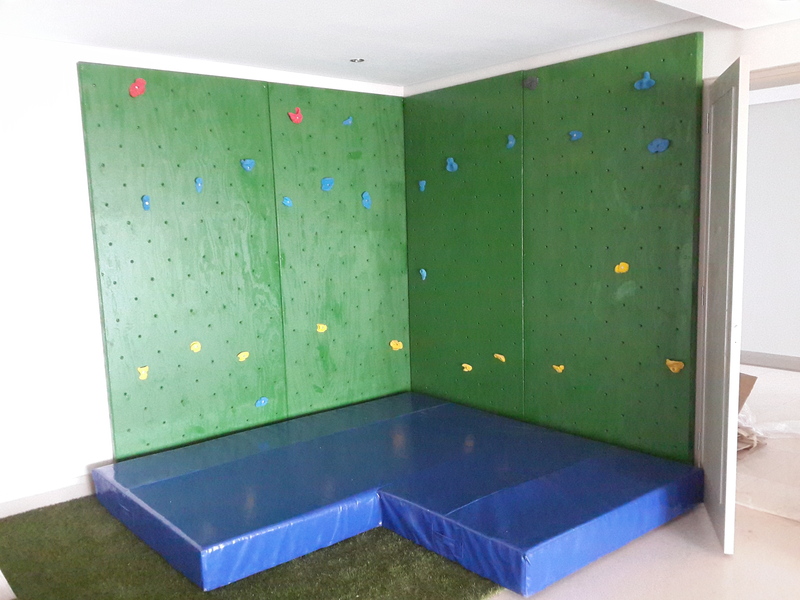 From creative design followed by implementation of the latest climbing wall construction techniques, we'll create a first class climbing training facility in any space you give us. 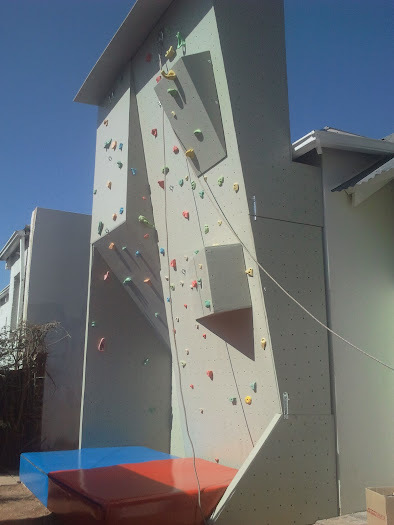 An Extremely South African system of 3-dimensional climbing surfaces is infinitely variable and can be built freestanding or configured to fit on or around existing structures such as brick walls, columns and ceilings. 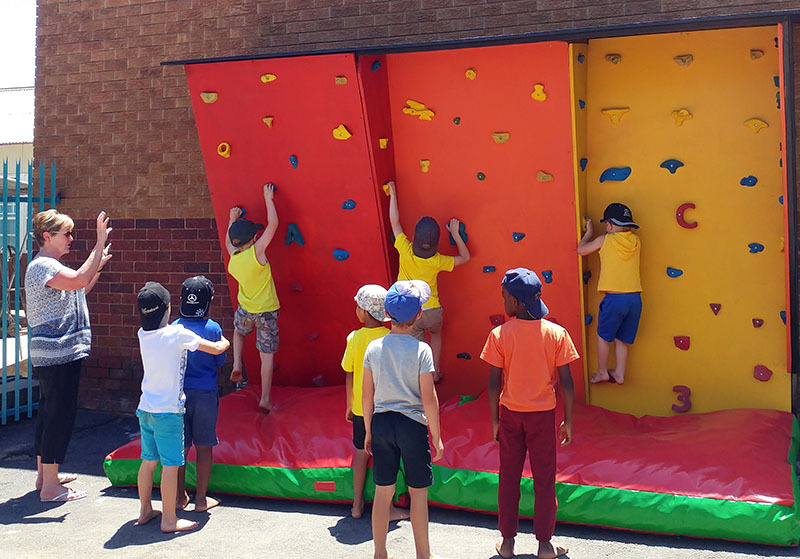 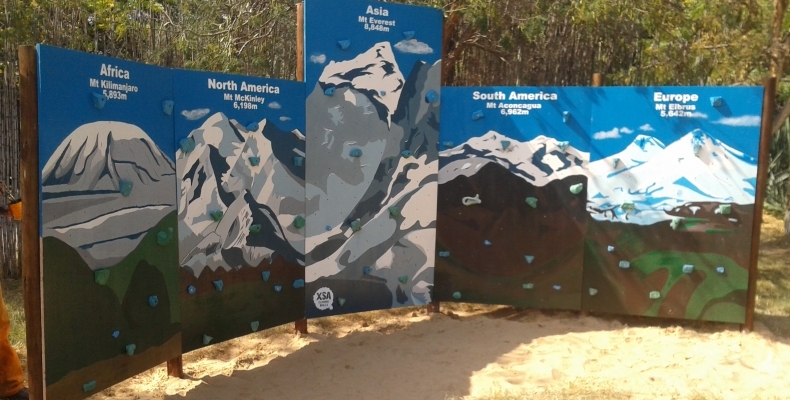 XSA offers a wide range of climbing wall and playground solutions. 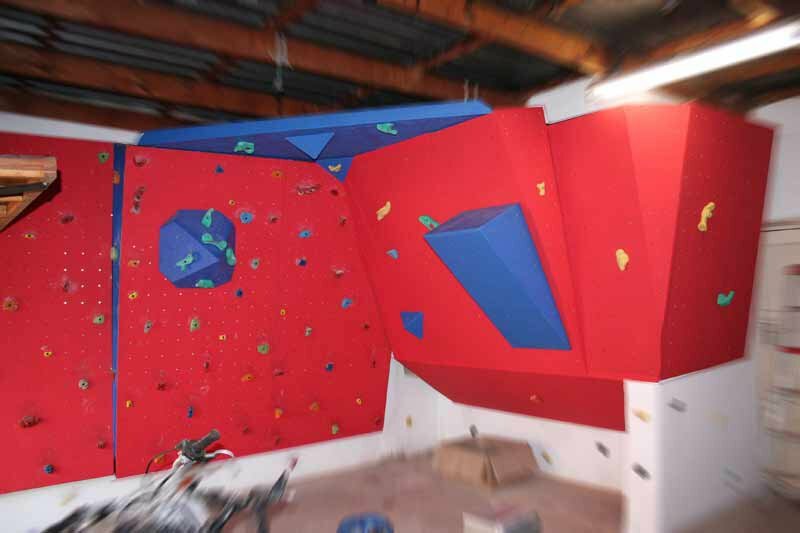 Standard items can be combined to assemble a complete facility or we can custom manufacture a unique work of art for your venue. 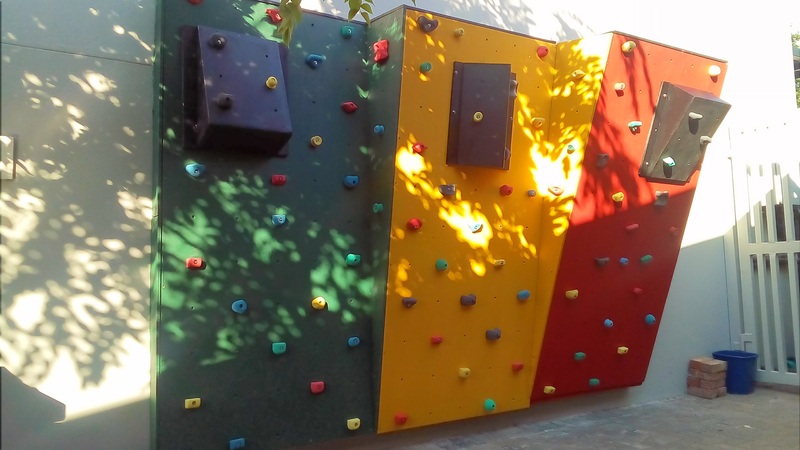 We only use top quality materials ensuring strength and reliability of our climbing walls and playgrounds for many years to come. 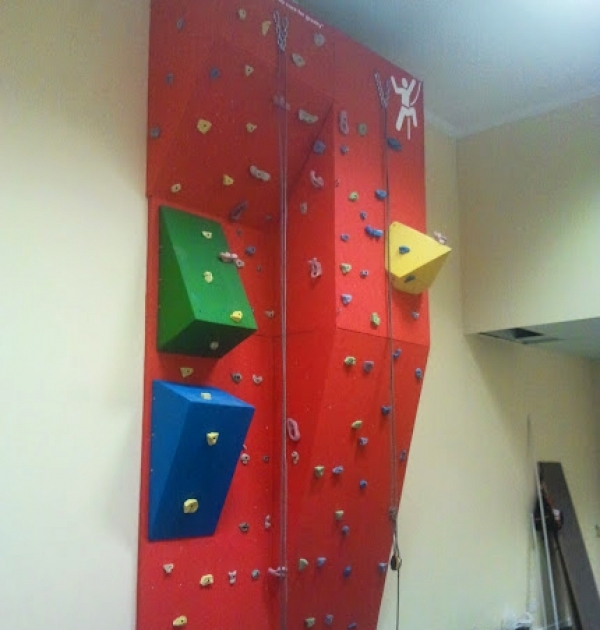 We'll consult with you to determine your ideal solution, factoring in. 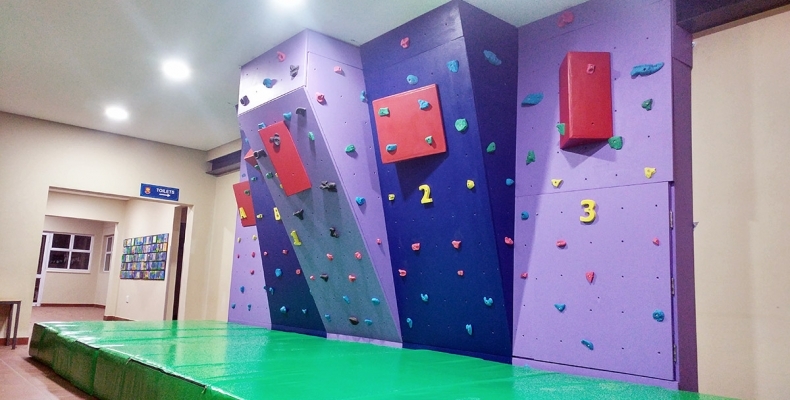 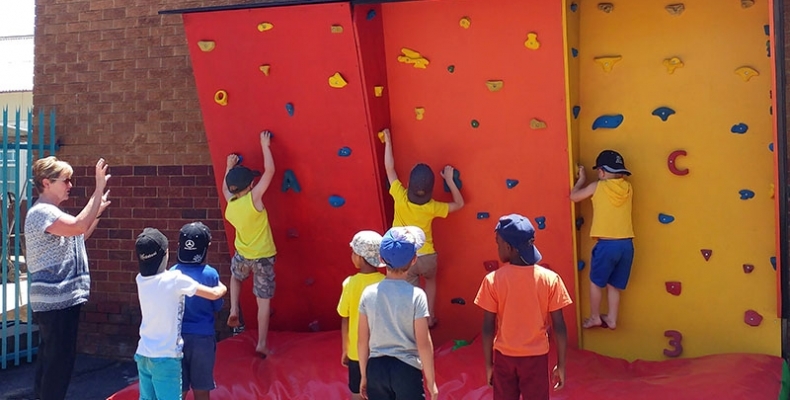 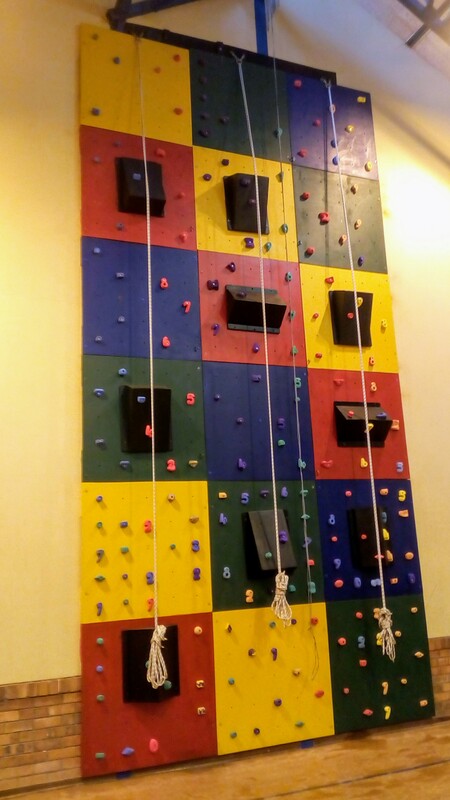 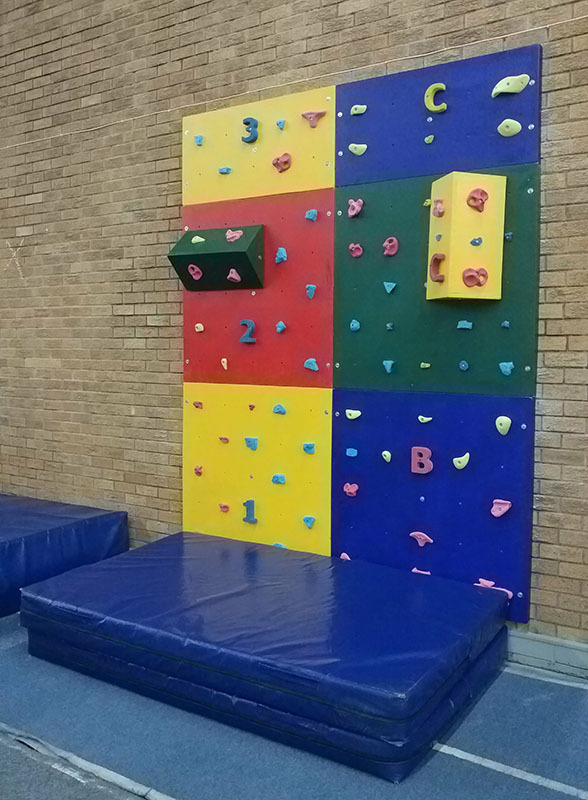 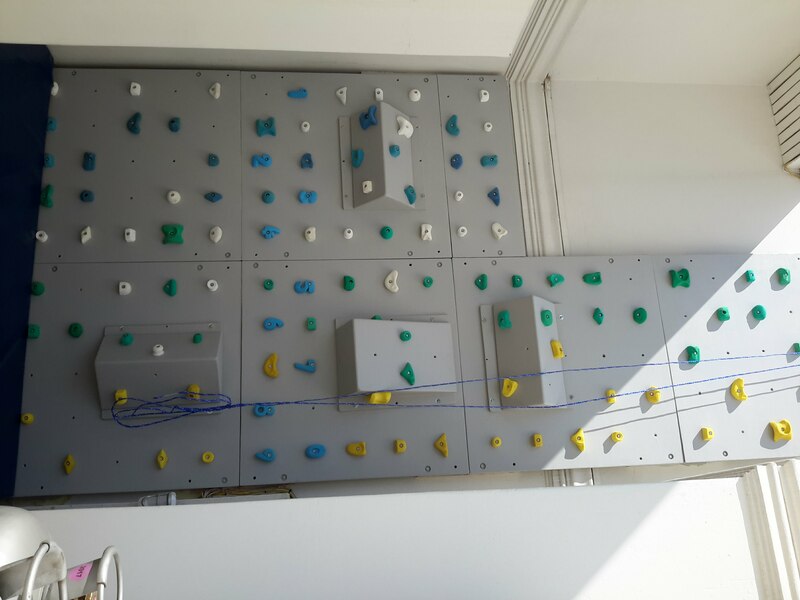 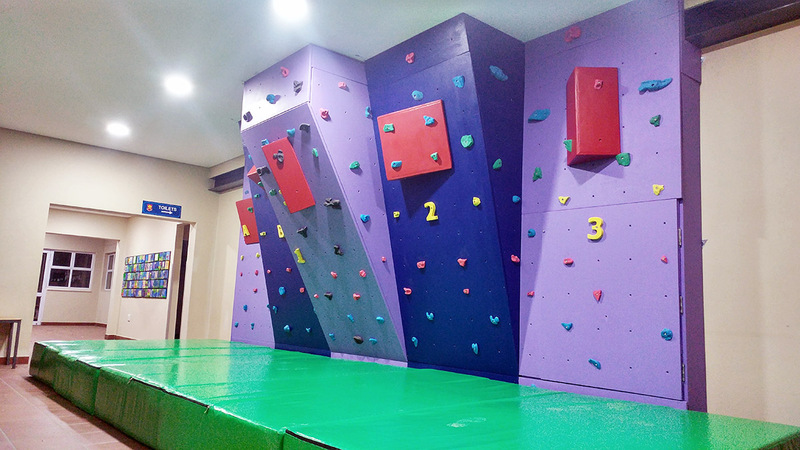 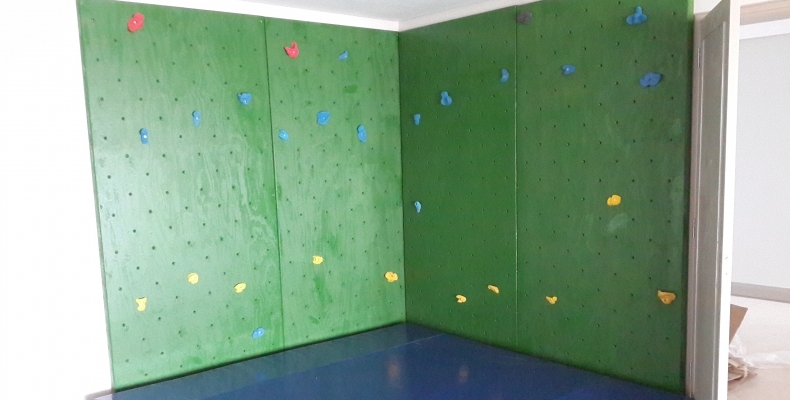 Purpose and Operations - From school/youth training to personal walls, group size and function will affect the features and shape of the climbing wall, as well as the amount of top anchors needed. 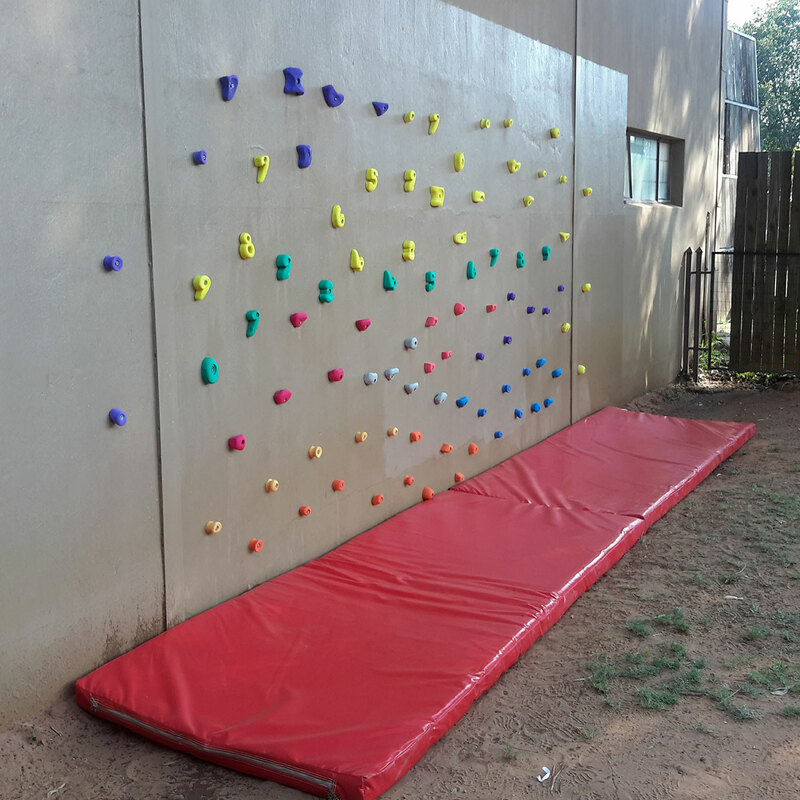 Space constraints and Safety requirements - We aim to make use of all available space, while catering for swing radiuses and safety zones. 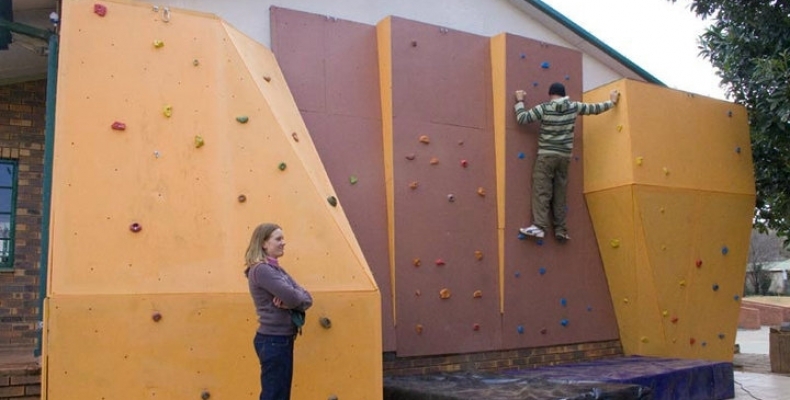 By minimizing risk at the design phase, we’re able to maximize safety at your climbing wall. 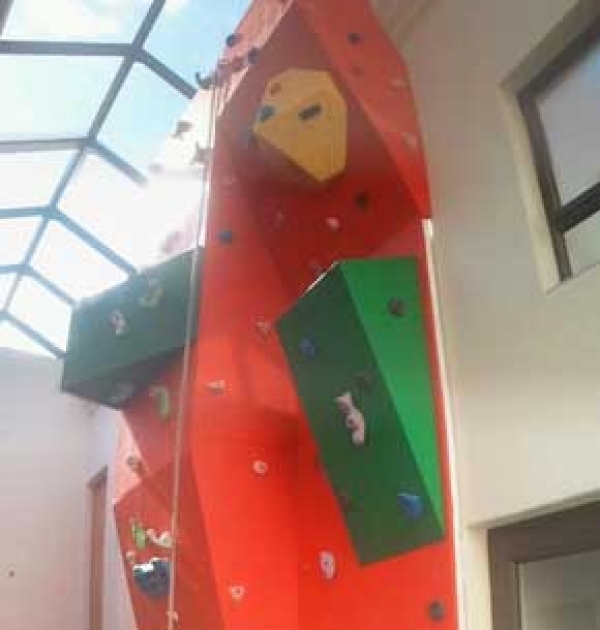 Climber profiles - We make sure we cater to the age and ability level of the climbers that will be using the facility. 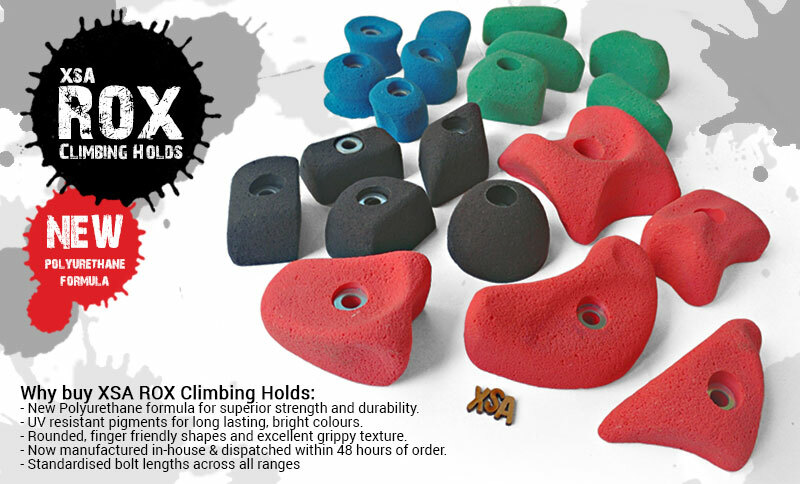 A beginner training facility would need fewer features and larger grips than one focused on challenging experienced climbers. 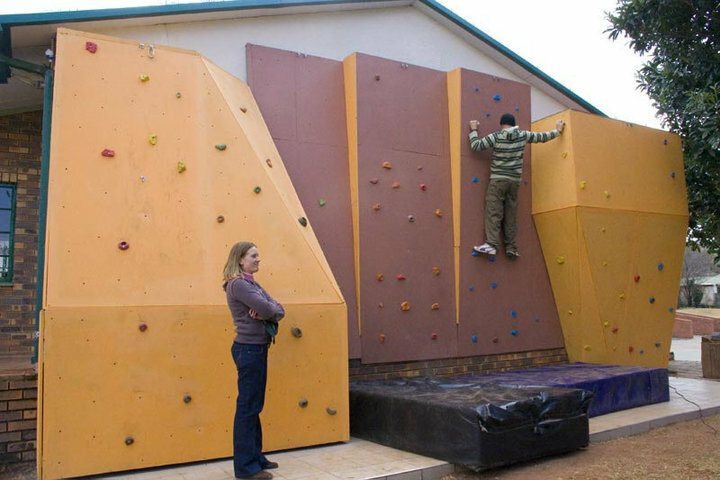 Budget - We aim to provide the best bang for your buck with efficient use of resources and space. 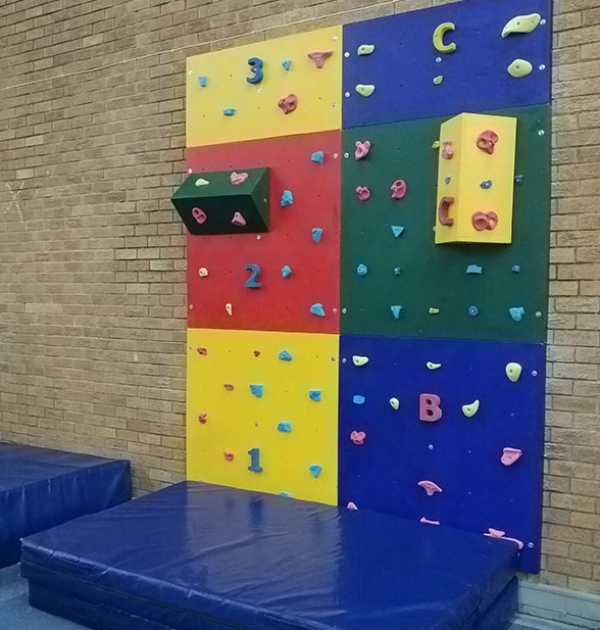 By using standardised shapes, supplemented with volumes, we are able to pre-manufacture much of the climbing wall before getting to site, resulting in quicker set up and reduced cost. 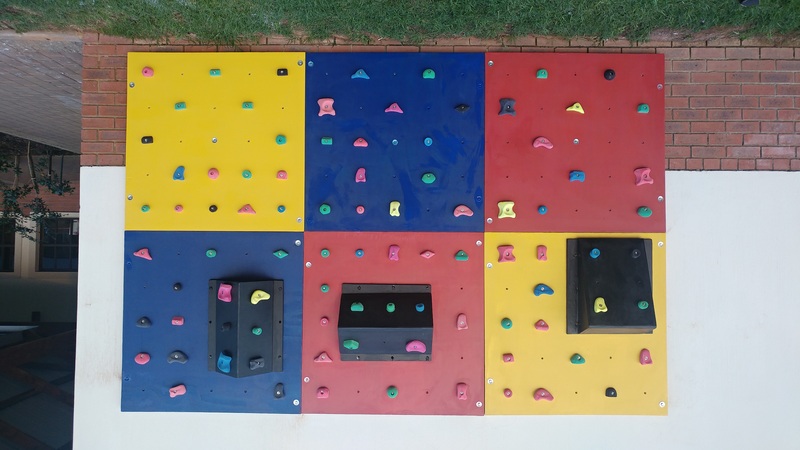 Climbing wall Accessories – We assess what you’ll need in the way of landing mats and/or climbing wall operation equipment. 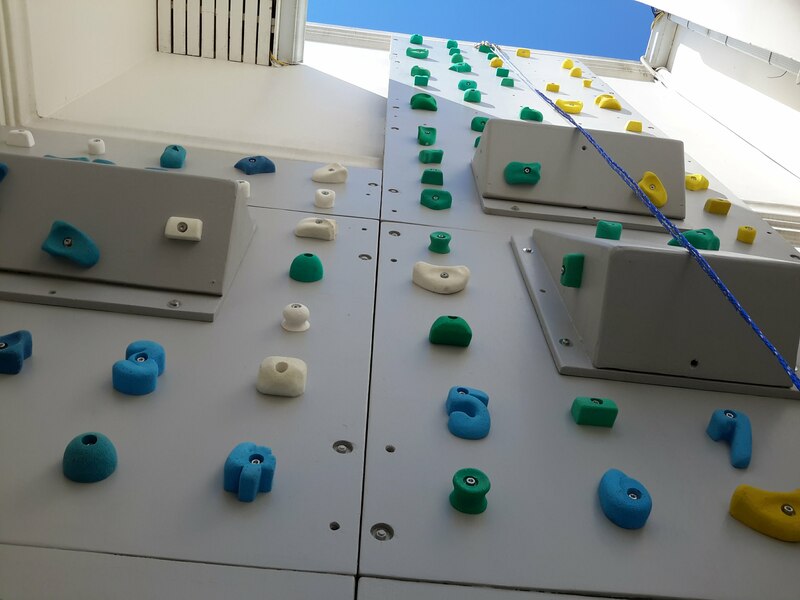 Feedback - We work with the input of all decision makers in your project, to ensure the final outcome is congruent with the vision. 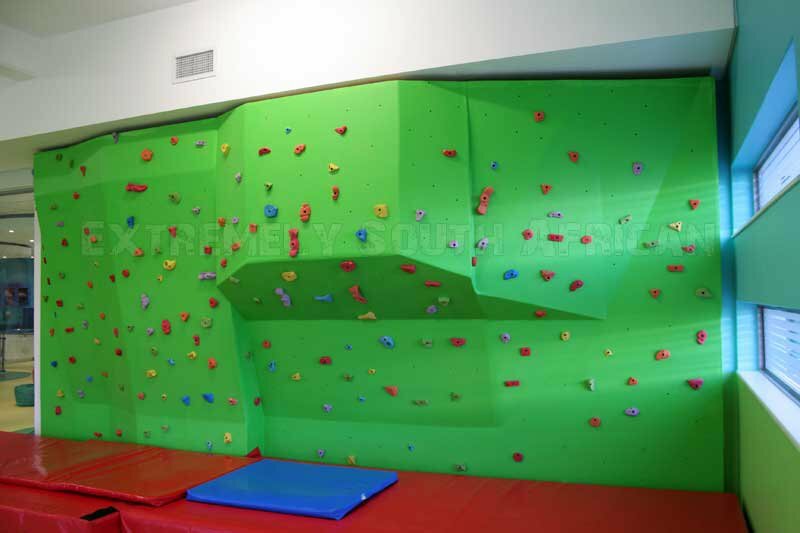 Extra Construction - Some Climbing Walls may need additional construction beforehand. 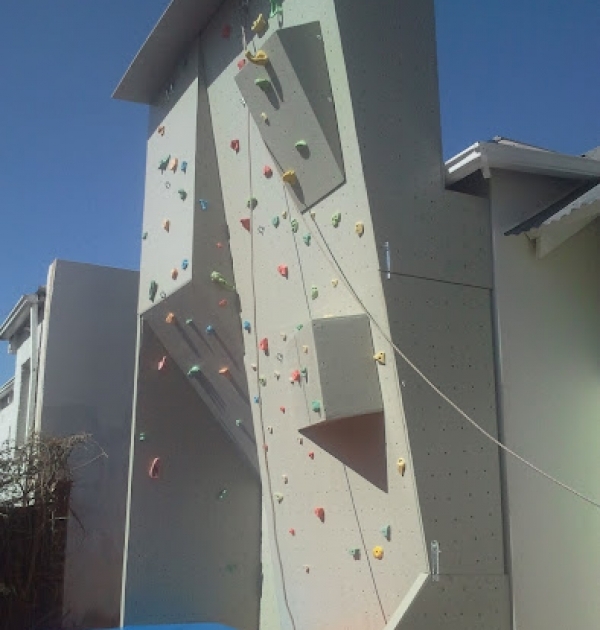 Our team of skilled artisans can do any concrete slabs, brick walls, tiling and more. 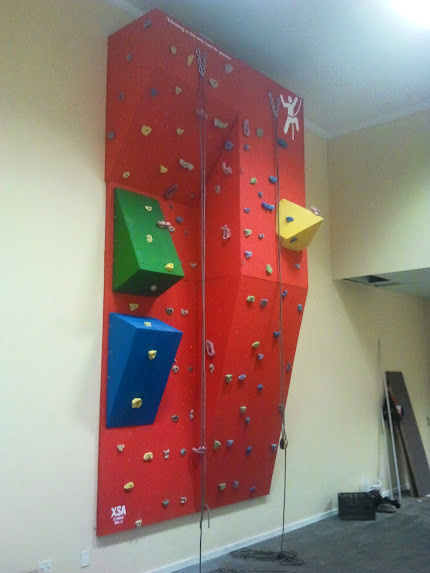 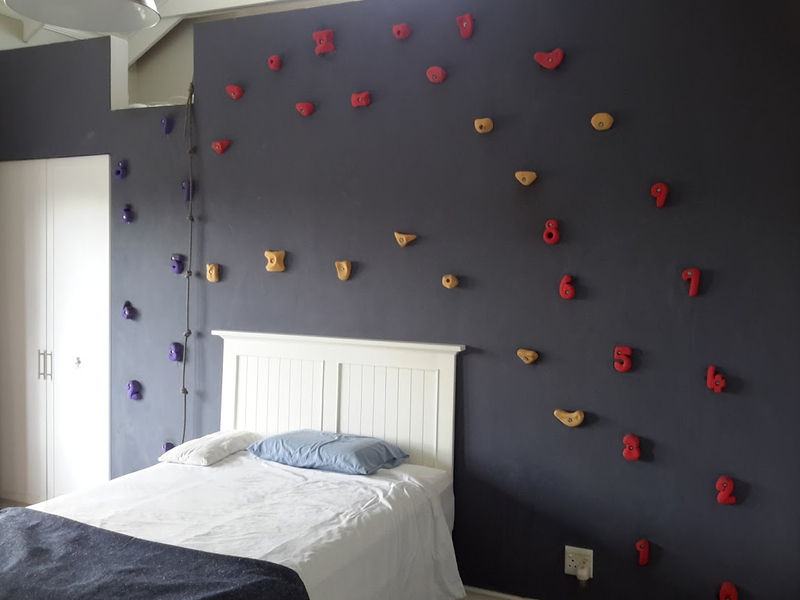 Design: 3D modelled design of your climbing wall. 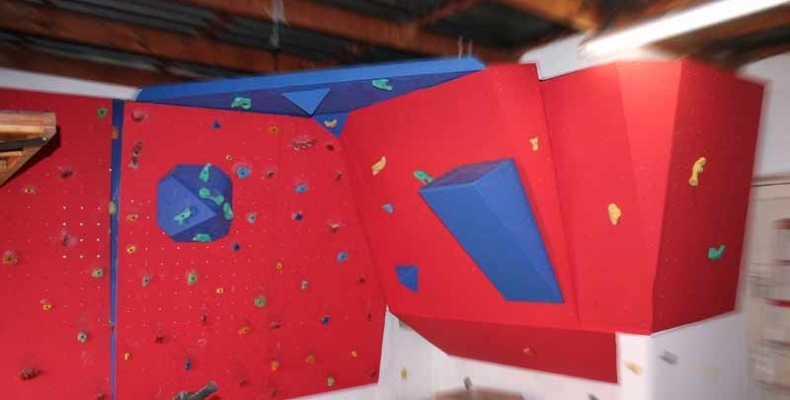 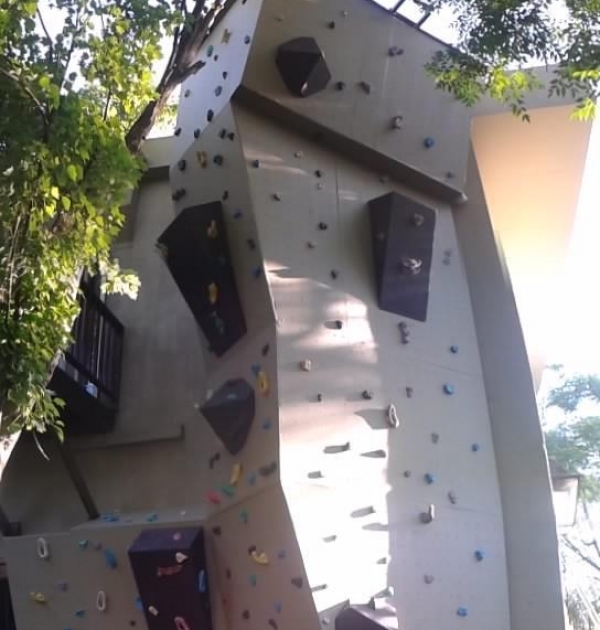 Get an accurate view of what your climbing wall will look like on completion.